Why are cats so interested in bathrooms anyways? The only thing that happens to them in there is having a bath, which they tend to fall on the anti side of. 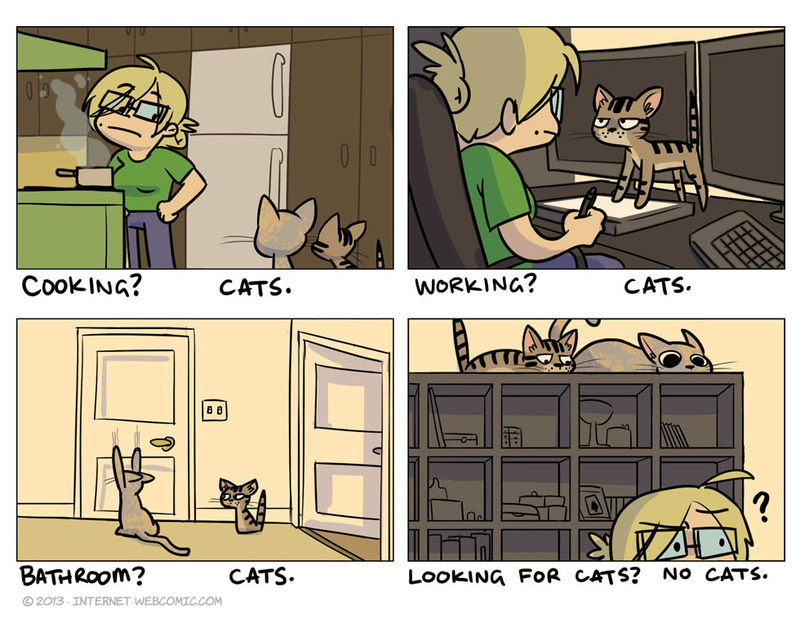 Oh, cats. Ah, right! I drew this a few days ago for a friend of mine who was experimenting with drawing women at the time. If you’re not already, you should check out my tumblr. It’s sugar-free, gluten-free, and chock full of all the things you need to grow big and strong: comic extras and reblogs of animated gifs. Yep, this is my two cats. I know that feel, bro (Sis?). They always seem to know.